Some of you might have known about this since a few days ago. 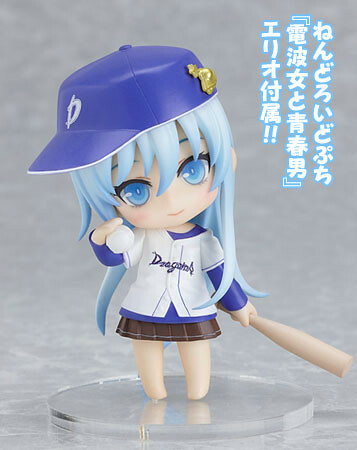 Yep, Dengeki G’s Magazine 2011 September issue with the bundled Nendoroid Petit Touwa Erio (Denpa Onna to Seishun Otoko) has been available for pre-order. The magazine is going to be released on late July 2011 with a price tag of 1000 Yen. This entry was posted in News and tagged bundle, nendoroid, petit, puchi, touwa erio. CD Japan has it available for preorder now. I just placed my order.